First of all, I would like to thank the school for granting me the rare and extraordinary opportunity of participating in this study tour. My time spent in Beijing was short yet very rewarding and meaningful. 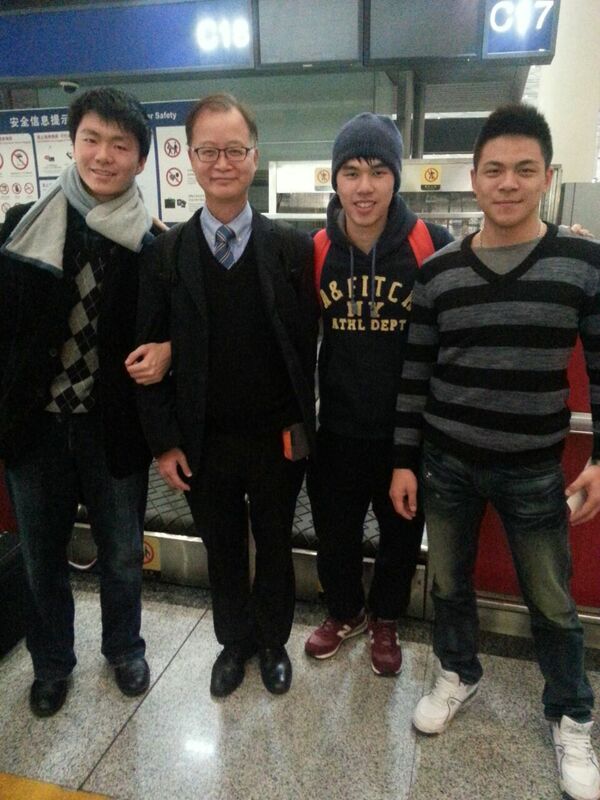 I met many intelligent students representing their schools and forged friendships with them. The study tour had various activities ranging from visits to local secondary schools to visits to car factories. My group researched the advancement of flight technology of airplanes or jets. We conducted many interviews with professors and local students in Putonghua. Putonghua is not my strongest language and I often make minor pronunciation mistakes. However, everyone was very friendly and tried their best to cooperate with us. The tour also brought us to tourist locations like the Olympic sports stadium, “Birds Nest”. Among all the places we visited, I found the tour inside the car factory to be the most bewildering and interesting. We were allowed to see the whole production line where they make the cars from scratch. However, my most memorable time in the tour was the time spent with my friends. I was fortunate to have teammates of unique qualities and character. Everyone had an great sense of humor and it didn’t take us long to become good friends. Every night my teammates would come to my room to have group discussions. On Christmas Eve, we celebrated in my small hotel room. I received wonderful gifts and cards from other students. The tour helped me reflect on the important qualities and skills of being a role model and a leader from other teachers and student leaders. Also, I have become more determined and enriched my knowledge but most important of all I have gained good friends who I will treasure. 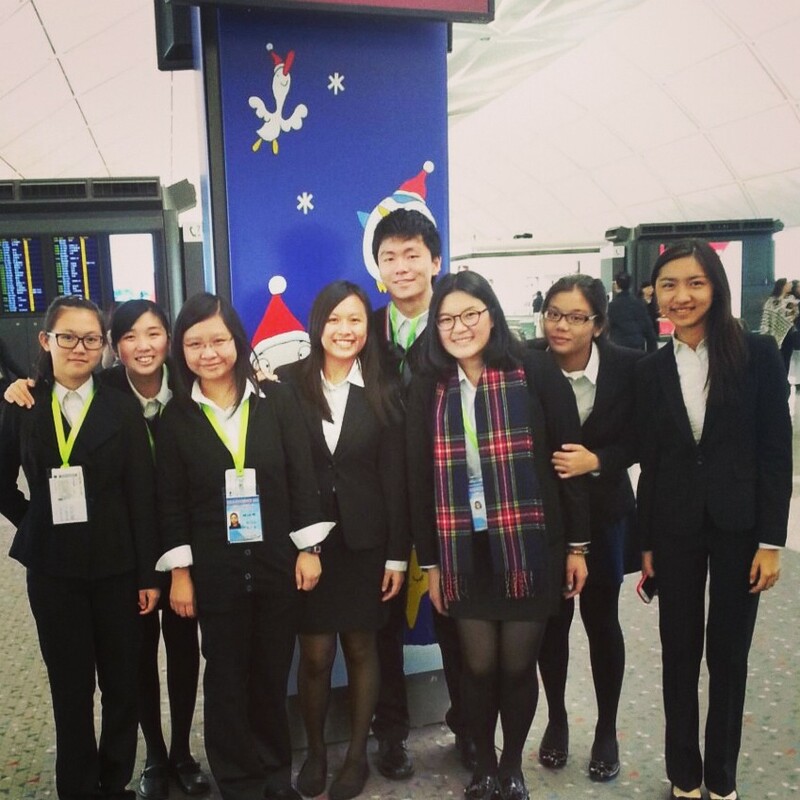 I think it was my honor to be chosen to represent the school in this Beijing exchange programme organized by the EDB in December 2014. Throughout the five days, I had the opportunity to know more about how advanced technology has affected the development of China from studies to industry from visiting the space museum and car factory which provided me with a new image of Modern China. I leant more knowledge based on the aviation and aerospace technology presented by two professors from a local university. During the exchange programme, I had many chances to communicate with my group mates and work together with them. For the visit of the local secondary school and university, joining their lecture provided us with a new learning experience, and we could interview the classmates who study there. I think this exchange programme created time for sharing experience between leaders from other schools. To be honest, it was not as exciting as I expected it to be, since we spent majority of the time visiting museums and having talks, which I did not enjoy that much. However, on the whole, it was a fruitful trip. From this trip, I have learnt a lot, in both academic and nonacademic aspects. First of all, as it was a trip about technology, we all got the chance to know more about the technological development in China, like the development of new railways, rockets and aircrafts. Secondly, since each group was required to finish a group project on their own, I have also learnt to establish effective communication with my group-mates and make good use of online platforms like the Google Drive to share our findings. I would also like to take this opportunity to say a big thank to the teachers who guided us in the trip as well as those who nominated us, giving us this rare opportunity to know more about modern China. “Worthwhile” and “meaningful” are the two words that come to my mind when I reflect back on the City U Debating Challenge. I initially expected the highlight of the day to be the competition. But in less than two hours that notion completely fell apart. During the day I felt a spirit of innovation. I was thrilled to see the 3D machines. I got a glimpse of what could be the future of the 3D industry and technology. We also attended a lecture conducted by a professor about climate change. I was amazed by the intricacies of the topic which is a far more complex issue than I could ever imagine. If you ask most people whether they think the government is doing enough to tackle climate change, most people will intuitively say “no”. But few can explain the reasons for it. After the lecture, I have a clearer picture of what has been done and what could be done in future to achieve a sustainable development. Climate change is the defining issue of our generation. The actions of our generation will not only shape our own future, it will also shape the future of our city, our country and most importantly, our planet. So it is of paramount importance that we at least understand climate change before we attempt to alleviate the problem. After all, it is our responsibility. Participating the CityU Discovery and Innovation Debating Challenge on the 22nd of November was a great experience. 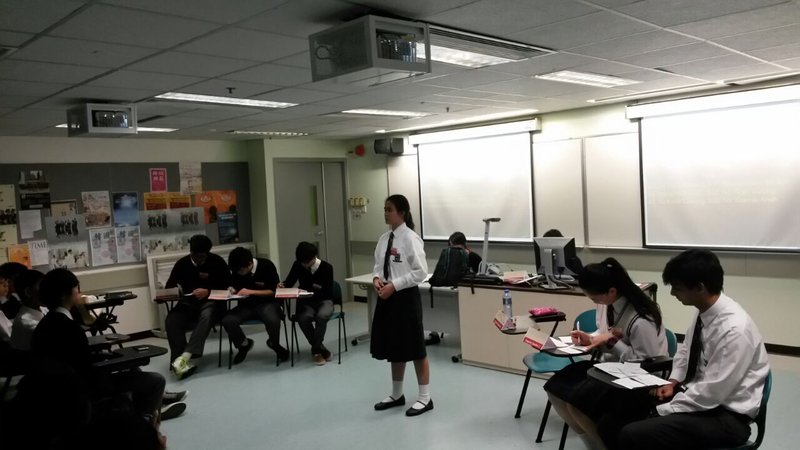 Not only did I get a chance to improve and learn more debating skills, but I also learnt more about climate change. I was the 1st speaker of the opposition team. Our motion was that “The Hong Kong Government is doing enough to tackle climate change”. Climate change is currently becoming more of an important issue. Policies and schemes such as the ‘Two degree target’, an international climate-policy, are not enough to tackle climate change. For example, in Hong Kong we have a lot of schemes like ‘Reducing our “Carbon Footprint”’ and ‘Vehicle idling ban’. However, according to the Annual Air Quality Index, Hong Kong’s air pollutant concentration is increasing and has exceeded World Health Organization’s air quality guidelines. This shows us enough is never enough. We are not doing enough so we need to do more. Moreover, climate change is a global issue; actions by just one country or city alone would create no particular change. Everyone everywhere needs to give a committed helping hand to tackle climate change.